Vision is a pilot’s most important sense! Whether you are looking to apply for your pilot’s license or are currently an active pilot, a yearly eye exam is essential to ensure optimal vision for flying. FAA Medical Certification requires 20/20 distance vision in both eyes for First and Second Class license. Other requirements include good color vision, peripheral vision, and healthy eyes. If you do have an existing eye condition, you are not disqualified from getting your medical license. Rather, further examination and documentation will be needed in order to obtain medical clearance. Our doctors are very knowledgeable about all the vision skills required for safe flying. There are a multitude of visual cues that a pilot must look for throughout the course of a flight. Some prime examples are signs on the runway, lights from the tower or other planes, and scanning of the horizon and landscape. If you will be applying for your medical license, first schedule an eye exam with us to ensure your vision is acceptable to pass. Medical practitioners recommended a comprehensive eye exam with dilation as the standard of care. Our doctors are well versed in the necessary FAA regulations regarding vision and special eye conditions. Make an Appointment for a Pilot Vision Consultation Today! The key to having successful pilot vision correction is to get the latest and relevant information about eye care to help you make a fully informed decision. 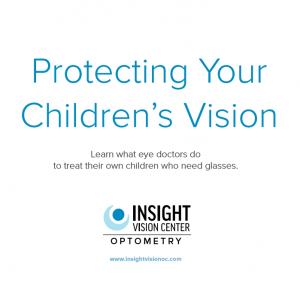 If you have further questions, give Insight Vision Center Optometry a call at (714) 486-3315. Or you can simply book your own appointment online.